PG Department of CS & IT published 6th issue of an Online Annual Peer Reviewed Journal Entitled "International Journal of Innovation and Research in Computer Science (IJIRCS)" with ISSN 2349-2783 on June 30,2019. 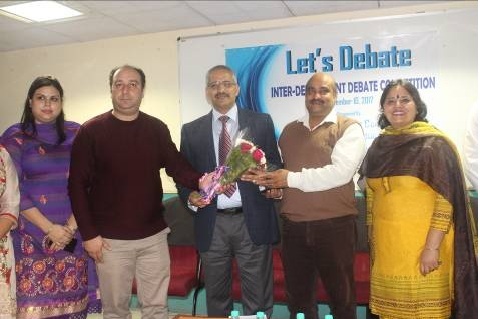 NEWS The Department of Mass Communication and Video Production organized Inter department Debate and Panel Discussion Competition “Lets Debate”. 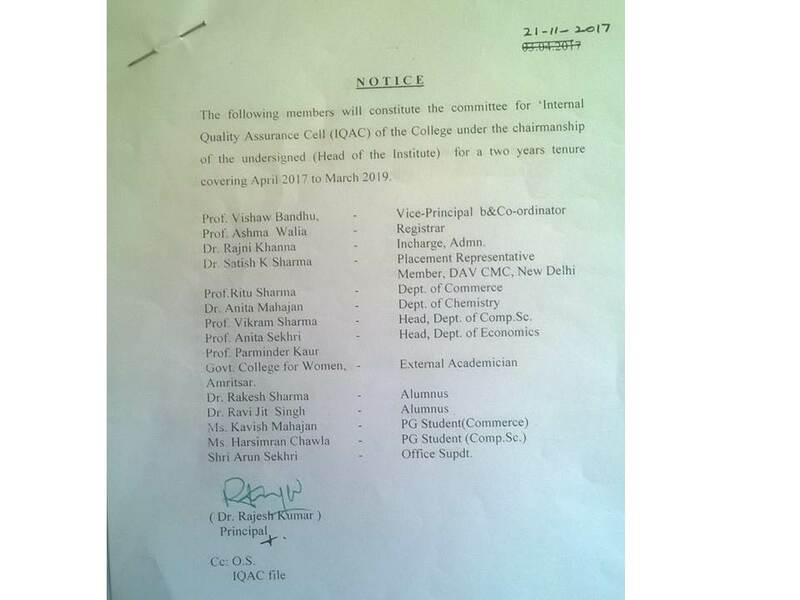 Dr Parminder Singh, Former Head, Department of English, GNDU, Dr Rajesh Kumar, Principal DAV College, and various other personalities from field of Journalism were among the team of panelists. During the Panel discussion, importance of censorship and its other aspects were discussed. During the second session, Debate competition was organized which was based on topics” Censorship of Media” and “Man is born free but he is in chains everywhere”. Students from different departments of the College participated in the event.